How to use olive oil for skin care? How to add olive oil to your diet? Olive oil is an extract from olives, a traditional tree crop that originates from the Mediterranean Basin. This oil, extracted by pressing whole olives, has an everyday use in our household. From frying and salad dressing to using it as ayurvedic medicine, this liquid fat has remained a part of our day-to-day life. Apart from being used in pharmaceuticals, soaps, and cosmetics, olive oil even has religious uses. It also passes as a fuel for traditional oil lamps. Although science does not fully support its health benefits, anecdotes, Ayurveda, and some experts revere it for having magical properties. In Mediterranean cuisine, olive is among the core food plants, other being grapes and wheat. Its cultivation in the region dates back to 8th millennium BC. Interestingly, Greece is the largest oil consumer while Spain is its largest producer and second largest consumer. Other main consumers of olive include Italy and Morocco. As for South Asia or North America, olive consumption is relatively less, but the demand is rising rapidly. Just as its origin, its role and trade go way back. As mentioned earlier, the olive plant originated from the Mediterranean basin in the 8th millennium BC. Neolithic people used to collect wild olives; however, nobody knows hitherto whether it was Asia Minor, Ancient Greece, Levant, or somewhere in the Mesopotamian’s Fertile Crescent that introduced this amazing plant to the world. Nevertheless, our folks only learned to extract the oil by pressing olive in 6000 BC and 4500 BC. They belonged to the prehistoric settlement in the south of Haifa. Olive oil is thought to have represented wealth in Minoan civilization. Evidence has it that people in Crete also started cultivating olives from 2,500 BC. Olive trees were cultivated in large amounts in this largest island of Greece during the post-palatial period. These trees played an important role in the Crete’s economy. According to some sources, the city of Athens was named so because Athenians preferred the offering of Athena (the Greek goddess, which was an olive tree) over the offering of Poseidon (a spring of salt water). Greeks and Spartans also used olive oil to rub on the skin while doing exercise in the gymnasia. Even Aristotle mentioned olive oil in the History of Animals. He recommended a mixture of olive oil with cedar oil to prevent pregnancy. The ancient city-state Ebla, that existed from 2600 to 2240 BC, first engaged in the production of olive oil. The trade for oil can be traced back to the commercial mill for non-sacramental oil use, built by the tribal confederation in 13th century BC during the period of exodus from Egypt. Olive oil is extracted from olives through mechanical or chemical means. The green olives produce a somewhat bitter form of oil, whereas black olive – as fully ripe they are – produce extra virgin olive oil. Overripe olives can result in rancid variety making it necessary to make sure the olive are not overripe or rotten. The extraction of olive oil generally follows this procedure: Large milestones or steel drums ground olives into a paste. The olives remain under the millstones for 30-40 minutes so that more oil can be extracted. Slow processing results in a raw paste that would produce less oil, whereas more extensive processing would result in oxidation of the paste, thereby reducing the flavour. The paste is then removed from under the stones and spread on fibre disks. Multiple fibre disks are stacked upon each other in a column form and then placed into the press. The pressure applied in the press separates the oil from the paste. The resulting liquid, however, still has vegetal water content. In the old days, water was separated from the olive oil by gravity. This was a slow process, which has now been replaced with centrifugation. This method of extraction that uses steel drums follows a different pathway. It saves time. The grinding takes about 20 minutes in steel drum mills. After that, the paste is stirred slowly in another container for 20-30 minutes. This process makes the mechanical extraction of oil drops easier. After this step, the paste is passed through a centrifuge to separate the water. 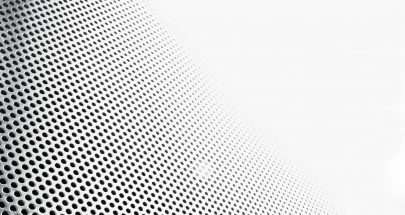 The oil produced is often filtered to remove solid particles. The paste that remains after mechanical methods of olive oil extraction still holds 5-10% of the oil. It is impossible to extract it with mechanical means, but chemical solvents can do the job. This process takes place in chemical plants and produces a type of olive oil known as pomace oil. Based on the extraction methods, some companies label their product with the term “cold-extraction.” It indicates that the grinding and stirring of olive oil was done at 25°C or less temperature. Processing at higher temperatures decreases the quality of olive oil. It also partially determines what grade of olive oil is produced. Choosing from a large variety of olive oils can be intimidating. Although olive oil is good for health – and it’s a general statement – not all types of olive oil are the same. Some have greater benefit and purity, while others lack the superiority found in extra virgin olive oil – the best among all types. The International Olive Council provides details on the grades and standards of different types of olive oil. What’s the difference between regular and extra virgin olive oil (EVOO)? Which one is better for health? Should I pay extra bucks for EVOO? These are some common questions in the minds of the customer. The upcoming section will clear these confusions. The oil came from fresh olives that were pressed for the first time, preferably within 24 hours of harvesting. No excessive heat or chemical was used to extract the oil. Oil was obtained using a manual method. The acidity level of the oil must be below 0.8%. The oil is perfect in terms of taste and aroma. These properties make EVOO more prized and expensive than its other variants. As a consumer, you’ll find EVOO having a little fruity and bitter taste along with some pungent pepperiness, whereas flavourless and metallic olive oil is an indication of over-processing. You may also find catchy terms like cold pressed, unfiltered, and stone pressed on some bottles of EVOO. Go for these bottles. Having a taste slightly milder than the Extra Virgin variety, this type of olive oil has an acidity level of less than 2%. Although both extra virgin and virgin varieties are extracted naturally – without the use of heat and chemicals – Virgin Olive Oil is of slightly inferior quality when compared to the Extra Virgin varieties. Both varieties come from the first time pressing of olives, but the difference in quality is mainly due to the presence of high level of acidity and free fatty acid content secondary to the use of slightly riper olives in the extraction of virgin olive oil. After the first manual pressing of olives, there isn’t much oil left to be extracted without using agents like heat, acids, and alkalis. These agents help in obtaining oil from already pressed olives, but the yield is more acidic and lacks the aroma, taste, and antioxidants that are otherwise present in the olive oil. Refined olive oil is a very pure form that is tasteless, odourless, and colourless. You will come across terms like “pure” “light” or “100% pure”. These are all made up terms used for marketing purposes. In reality, it is just refined oil containing some unrefined Olive Oil (Extra Virgin or Virgin) to improve the colour, flavour, and aroma of the oil. This is by far the lowest grade olive oil and creating it involves heating the byproducts (olive seeds, skin, and pulp) of extra virgin olive oil. Extraction of the oil involves using a solvent – hexane. Pomace olive oil has the lowest composition of antioxidants among all other varieties. Some fruit harvests are not in its best conditions, and not all processing practices are excellent. The resulting oil from bad fruit or through poor processing practices is known as lampante oil, which is unfit for human consumption unless refined. However, it is common for industrial uses. The word Lampante comes from “lampa,” an Italian word for “lamp.” It refers to the earlier use of Lampante oil in oil lamps. Natural ingredients remain intact during the preparation of extra virgin olive oil. Each year, the total global consumption of olive oil adds up to approximately 2.25 million tons. Greeks consume the highest amount: an average of 26-litres olive oil per person per year. Each olive tree produces about four litres of oil in a year. Olive trees continue to provide fruit for hundreds of years. The oldest olive oil tree is on the Brijuni islands. It is more than 1,600 years old and still bears fruit. The history of olives goes back to at least 7,000 years. The highest number of olive plants are in the Mediterranean region. Olive oil can come from more than a thousand varieties of olives. Famous ones include buža, rošinjola, leccino, žižolera, and bjelica. There is no difference between green and black olives other than the ripeness – black olives are fully ripe. Olive trees bear an abundant crop in one year and produce half the amount of that crop in the following year. Olive oil composition depends on the altitude, cultivar, harvest time, and extraction process. That is why it is available in the market in different forms, and the same is the reason you have to see which form you are picking up from the shelf. Its main component is oleic acid, which is up to 83%. Fatty acids like linoleic acid and palmitic acid are also a part of olive oil but in smaller amounts, i.e., 21% and 20% respectively. The nutrient content of olive oil differs by the type of it. Extra virgin is the best variety in terms of nutrition. As you can see from the above, there are no carbs and proteins in olive oil, but it does have antioxidants – biologically active substances that fight free radicals and prevent diseases. Important antioxidants are anti-inflammatory oleocanthal and oleuropein. Olive oil has been criticized for its high omega-3 to omega-6 ratio (1:10), but the low total polyunsaturated fat content counters this concern. Moreover, if you are consuming olive oil in moderation, there’s no concern about such high ratios. Olive oil is particularly famous for its health benefits. You may come across various benefits, but you can find the credible ones below. There are two kinds of fat. Olive oil contains a good amount of MUFA. Oleic acid (a kind of MUFA) makes 73% of the total oil content in olive oil. The MUFA reduces inflammation. It lowers bad cholesterol, which clogs arteries and can cause heart diseases and stroke. MUFA is, therefore, protective against heart diseases. A research study involving two groups consisting of 162 healthy participants in total found this to be true. One group received a high-MUFA diet while the other received a high-saturated fat diet for three months. By the end of the study, individuals receiving MUFA diet reduced bad cholesterol by 5%, whereas the group that received saturated fat had a 4% rise in bad cholesterol. Another beneficial thing about monounsaturated fats is that they are resistant to high temperature. Therefore, olive oil makes an excellent choice for cooking. One of the leading health benefits of olive oil is its anti-inflammatory properties. Chronic inflammation is thought to be a contributing factor to diseases like type 2 diabetes, metabolic syndrome, cancer, heart diseases, Alzheimer’s, arthritis, and obesity. Most of the anti-inflammatory effect of olive oil is due to antioxidants, such as oleocanthal – the natural anti-inflammatory phenolic compound which has properties similar to ibuprofen, an anti-inflammatory drug. Antioxidants prevent free-radical-induced-damage and also protect against cancers. Based on these anti-inflammatory properties, olive oil also reduces the risk of chronic diseases. Usually, the term fat brings the imagery of some obese individual. And we all know that excessive consumption of fat causes obesity. For these reasons, butter is not suitable to be consumed in whatever amount we like. But, olive oil is different. In a 30-month long research study, it was seen that consuming a lot of olive oil is not associated with weight gain, at least not in those 7,000 Spanish college students who participated in the study. Another study concluded that a diet rich in olive oil is associated with weight loss, instead of weight gain. This one was a 3-year study conducted on 187 participants. Similarly, the Mediterranean diet, which is rich in olive oil, has good effects on the body weight. A number of studies have shown a positive impact on blood sugar and insulin sensitivity in response to olive-oil-rich diet. In a randomized clinical trial composed of 418 healthy people, the Mediterranean diet rich in olive oil was found to be inversely associated with type 2 diabetes incidence and reduced the risk by over 40%. Amid various attempts to find possible preventive ways for stroke, olive oil has remained of special interest to the scientists working on stroke prevention studies. Research supports the inverse relationship between olive oil consumption and stroke in seniors. The important question is that how olive oil reduces stroke risk? There is scope for more research to answer this questions adequately. Scientists are not yet aware of the particular aspect of olive oil which is more relevant to stroke, but they have several speculations. It may be because when people choose olive oil, their intake of saturated fat – which clogs arteries and increases the risk of stroke – decreases. Moreover, polyphenols in olive oil reduce bad cholesterol, the high level of which is another risk factor for stroke. 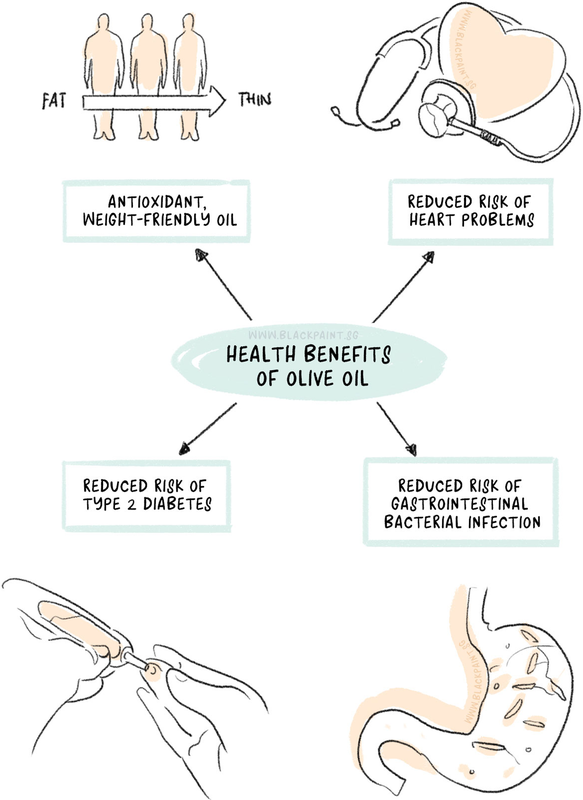 Many studies have found the positive effects of olive oil on the heart. Moreover, an extensive research on Mediterranean cuisine, of which olive oil is the key ingredient, has shown that this particular diet is associated with low risk of heart disease. Olive oil improves the lining of your blood vessels, prevents plaque buildup in arteries, protects against excessive blood clots, and lowers blood pressure – an important risk factor in heart diseases. Olive oil has antibacterial properties, especially against Helicobacter pylori, a bacterium that causes stomach ulcers. Test tube studies have found olive oil to be effective against eight strains of this bacteria, three of which are not even killed by antibiotics. Alzheimer’s is a neurodegenerative disease that causes 60-70% of cases of dementia. It is progressive and worsens over time. Currently, medical science offers no cure to this disease, but there are certain things that are considered to reduce the risk of Alzheimer’s. A few animal studies have suggested that olive oil may protect from Alzheimer’s. Moreover, a low percentage of the Alzheimer’s in the Mediterranean region has led scientists to consider that high olive oil content of this diet may be responsible for low cases of this particular disease in the region. We need more research to be sure about this. Based on its moisturizing effects, antioxidant role and antibacterial properties, olive oil is really a good home remedy to be used on the face. These potential effects are discussed below in detail. Olive oil contains natural antioxidants. The ones found in the extra virgin and virgin varieties of olive oil are phenolic compounds (flavonoids, simple phenols, lignans and secoiridoids), squalene, tocopherols, and triterpenic acids. Of the phenolic compounds, flavonoids are more abundant and have diverse biological activity, including anti-aging, antimicrobial, and anti-inflammatory, and wound healing properties. Additionally, tocopherols add to the skin care benefits of olive oil by protecting against sun damage. Dermatologists agree that antioxidants have a positive role in maintaining healthy skin. It is due to this reason that you’ll find antioxidants in many beauty products. Olive oil contains vitamin A, D, E, and K. Of these fat-soluble substances, vitamin E has remained popular throughout history for its beneficial effect on skin conditions like eczema and psoriasis. Due to it’s vitamin E component, topical application of olive oil may improve these skin conditions as clinical practice supports that vitamin E is beneficial in the vast majority of dermatological conditions, such as atopic dermatitis, hyperkeratosis, superficial burns, and cutaneous ulcers. The antibacterial effect of olive oil on the skin is yet to be studied by more researches. 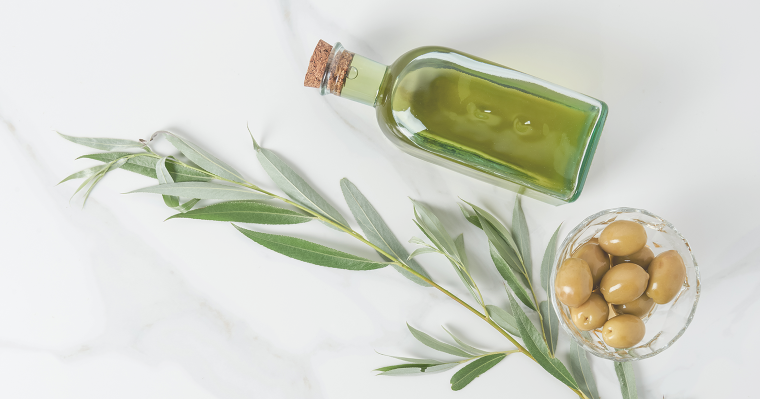 However, small-scale studies have suggested that topical application of olive oil kills Staphylococcus aureus – the major culprit behind acne and many other skin conditions. Olive oil may also improve the healing of foot ulcers caused by type 2 diabetes. A double-blind randomized clinical trial study conducted in a hospital in Iran showed that olive oil in combination with routine care of diabetic ulcer was more effective than routine care alone. 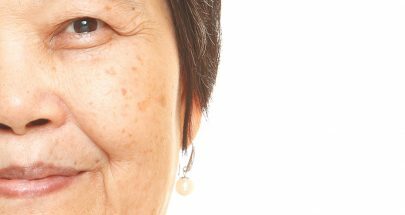 The loss of ceramides, fatty acids, and cholesterol from skin cells result in skin dryness. Anecdotal evidence shows that olive oil acts as an excellent moisturizer for dry skin. Of the four classes of moisturizers – Emollients, Humectants, Occlusives, and Protein Rejuvenators – olive oil belongs to the occlusive category. It creates an inert layer on the skin and physically blocks transepidermal water loss. The use of olive oil as a skincare remedy dates back to pharaonic times. It was used as an antibiotic agent, a cleanser, and a moisturizer in Egypt. People in ancient Greece used it during a massage to relieve muscle pain. Individuals in Asia believe that the topical application and ingestion of olive oil are beneficial for skin health. Take a few drops of olive oil and apply it directly on the skin. It will keep your skin from drying. 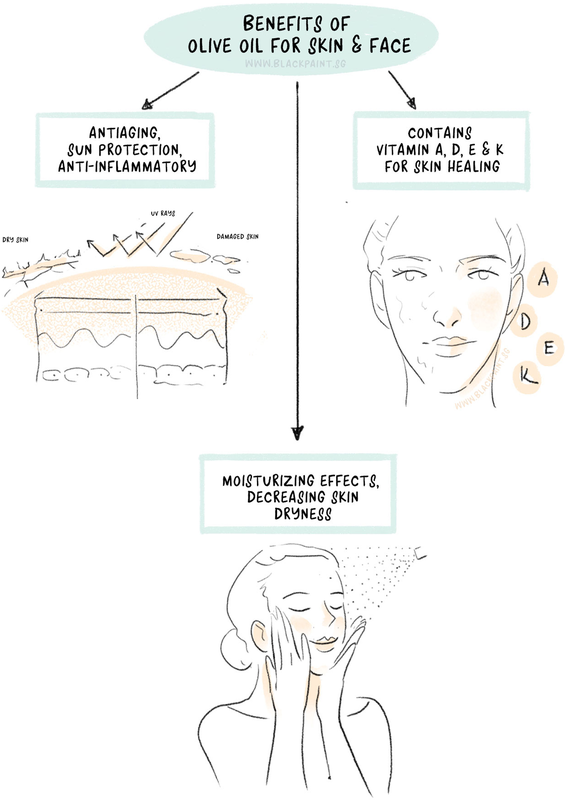 Individuals with oily skin should, however, avoid such use. You can also use olive oil after taking a sun treatment. It is useful as an exfoliator when mixed with sea salt. Use fine-grained salt on sensitive areas of skin, such as the face, and coarse grains for other skin areas. Another use of olive oil is in removing eye makeup. Instead of buying eye makeup removers, you can simply use olive oil. Apply a few drops on a cotton ball and gently wipe the makeup with it. Outside of its use in the skincare industry, olive oil has other applications as well. The important ones are culinary and religious uses. Throughout the Mediterranean region and other countries, the use of olive oil is extensive. They use extra virgin olive oil for salad dressings and sautéing, and refined olive oil for deep frying. Cold-pressed olive oils have different flavours for different55555555555 dishes. When subjected to high heat, extra virgin olive oil gets a pronounced taste which most people don’t like. Refined oil, on the other hand, has a milder flavour and is more suitable for cooking purposes. Seen as a blessing, various religious books also mention olives and its healing properties. They are especially significant in three popular religions of the world, i.e., Islam, Christianity, and Judaism. “And a tree (olive) that springs forth from Mount Sinai, that grows (produces) oil, and (it is) relish for the eaters.” (Surat Al-Mu’minun 23:20). Some traditional Christian churches prepare the Oil of Catechumens – the oil used for blessing and strengthening the one who is being baptized – using olive oil. Some perfumes such as balsam also contain olive oil, and they use these for religious purposes such as in the ordination of priests, anointing of monarchs, and consecration of altars. Easter Orthodox Christians put olive oil in lamps used in churches, prayer corners in the home, and even in cemeteries. Jews use olive oil to light the Hanukkah menorah – a nine-branched candelabrum lit during the eighth holiday of Hanukkah. In ancient times, The Jews also use olive oil when anointing the kings of Israel. Olive oil is useful as a lubricant for kitchen machinery. It is also beneficial in the synthesis of cadmium selenide quantum dots, in which case it plays a role as a solvent and ligand. Olive oil is prevalent in Mediterranean countries like France, Spain, and Italy. Some cultures, however, do not use it as frequently. For example, the Chinese have a low intake of olive oil; some don’t consume it even in small amounts. 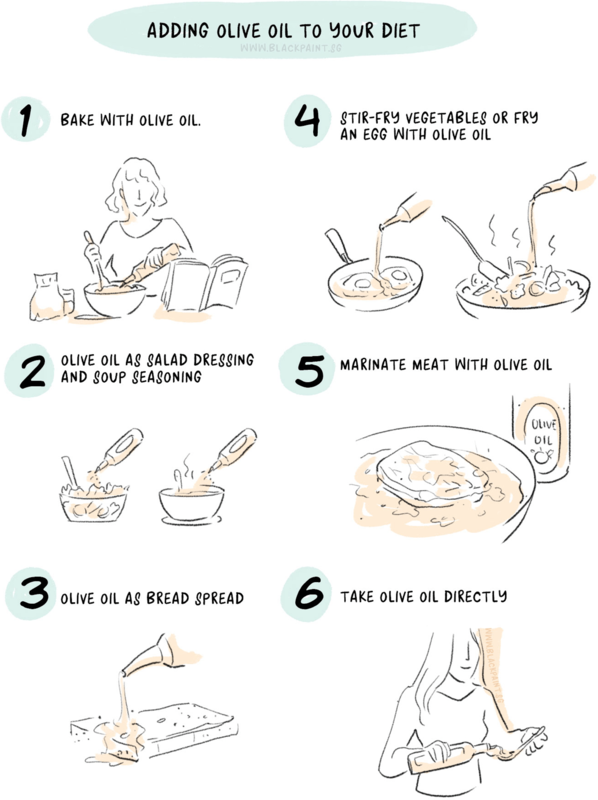 You can try a lot of easy and practical ways to add more olive oil to your diet. Check out the following ideas and see what works best for you. Butter is a famous fat ingredient in baking products, but not when you have made a promise to eat healthily. Olive oil is a healthy alternative to butter as it decreases the saturated fat content which is present in butter and replaces it with monounsaturated fat. Moreover, vitamin E in olive oil keeps your baked products fresh for long. Although most recipes provide butter as an ingredient; you can replace each cup of butter with ¾ cups of olive oil. Now, which variety of olive oil to use? Despite its healthier content, baked goods make better use of a lighter version which has a neutral taste. Choosing a salad dressing wisely can enhance the health benefits of a salad. Fat-free dressing seems like a good option, but despite the “apparently healthy title” they are not necessarily healthy. They contain high levels of sugar, preservatives, and salt. Extra virgin olive oil can make an excellent replacement to the fat-free dressings. For example, olive oil, citric juice from lemon or orange, herbs, and black pepper make for a good and healthy salad dressing. Most people use regular cooking oil to cook vegetables. To reduce your fat intake or add olive oil to diet, replace butter with olive oil. In fact, it won’t affect the taste of your food, and you’ll gain all the health benefits as well. Drizzle some extra virgin olive oil on a toast. Also, sprinkle some dry oregano and a pinch of salt to make it tastier. Make a sandwich and add a few drops of olive oil on each slice. Drink it? Yes! This is by far the simplest way to consume olive oil. Add a tablespoon of olive oil in a warm glass of milk. While it won’t mix well, but still, stir the milk and drink it. Countless recipes recommend the use of heavy cream in soups. Instead of doing that, people in Greece add extra virgin olive oil in their soups to adds flavour and antioxidants thus making it even healthier. You could do the same. If you are from Japan, Paraguay, or China, you would know that your countries consume more eggs than any other nation. With this fact, try to make use of the habit in a more positive way, such as using olive oil to fry eggs. This method will not only add more olive oil to your diet but also prevent you from eating the saturated fats found in regular cooking oil. Extra virgin olive oil is also an excellent base ingredient to marinate meat. The global production of olive oil as of year 2016/17 was 2.586,5 thousand tonnes. Notably, Spain produced 50% of this production. Other large producers in descending order of olive oil production are Turkey, Greece, Italy, Morocco, Syria, and Tunisia. More than 70% of Spain’s olive oil production is from the Andalucia region. It is also the same region that has the world’s largest olive oil producing mill. The mill is located in the town of Villacarrillo, Jaén and produces 2.500 tonnes of olive oil per day. Small industries of olive oil production also exist in Australia, American, and a few other countries. These days, the word ‘organic’ does not require any introduction. Similar to organic food and organic farming, organic olive oil comes from a plant that has been cultivated and harvested in an organic manner. As for the word ‘certified’, the name tells a lot about the product. An oil for which a credible organic certifying agency reviews the cultivation, harvesting, manufacturing, and also packaging of the olive oil and then certifies that every step meets the standards is the organic certified olive oil. There are different authorities for the certification process in different regions. In the United States, the California Olive Oil Council (COOC) is the organization that provides olive oil grade certification to companies. Only an olive that passes the requirements of chemical and sensory analysis gets the certificate. Chemical analysis requires the oil to have free fatty acids no more than 0.5%, and the peroxide value should be equal to or less than 15 meq 02/kg. The sensory panel of the COOC undertakes the sensory analysis. The United States Department of Agriculture (USDA) also provides certification if the audit results of the olive oil producing company are satisfying. The European Union has set a quality scheme known as Protected Designation of Origin (PDO) and Traditional Specialty Guaranteed (TSG). This quality scheme identifies agricultural products and foodstuffs that have been farmed and produced in accordance with the specifications. Another EU regime includes Protected Origin of Destination, which is the authority that looks over the certification process of olive oils in Europe. It identifies the products that are produced, processed, and manufactured in a specific geographic area while incorporating the established knowledge of local producers and using the ingredients from the concerned region. These products should be in compliance with the precise set of specifications. They may sport the logo of PDO below. In Australia, a third-party certification and Code of Practice Agreement looks over the olive oil certification. The authority to govern this regimen is Australian Olive Oil Association (AOOA). This regimen follows the Australian Standard for Olive Oils and Olive Pomace Oils. It is pertinent to mention here that the Australian standard of certification is more specific than the international standard. Australia also incorporates the International Olive Council Trade Standard that maintains for two additional chemical tests not used anywhere else. These tests detect freshness and quality. They also identify whether the oil is adulterated with inferior quality olive oil, refined seed oil, old oil, or some different oil. Moreover, the Australian standard lays out different grades of oil. It is inclusive of the most effective and modern techniques for testing the quality and authenticity. It also ensures customer’s comfort by maintaining for the labelling requirements and also outlines the ‘best before’ claims. The Australian standard ensures no use of misleading and deceptive jargon like extra light, light, pure. Companies that acquire Australian certification regularly go through chemical testing. It is also a requirement to pass the organoleptic (taste) test. Moreover, according to the Certified Quality Seal Program introduced by AOOA, the oil should meet the common International Olive Council Standards. Olive oil is a healthy option for your kitchen use, but in case it’s not available at home, or you’d like to change your oil for some time, here are some alternatives. Avocado oil contains unsaturated fats, protein, and vitamin E. It is unrefined just like extra virgin olive oil. It also has more heat resistance, which means you can even cook the food at a higher heat without losing the nutritional value of the oil. Avocado oil is free of flavour and makes a great choice for cooking. The only downside is that it’s a bit expensive. Flavoured with a nutty taste and carrying high amounts of healthy fats, peanut oil can be fun to experiment with. Most fat in walnut oil is polyunsaturated. It contains vitamin C, E, and minerals like magnesium, potassium, selenium, zinc, copper, and phosphorous. Walnut oil is great for dressing and sauces because high temperatures turn its taste bitter. Grapeseed oil is loaded with vitamin C, E, beta-carotene, and omega-6 fatty acids. It also has a high smoke point and you can use this for frying. The light taste of this oil also makes it a good choice for use in salad dressings. The antibacterial properties of sesame oil can protect against harmful bacteria. The chemical, phytate, found in sesame oil acts like an antioxidant and protects against free radical damage. This oil also has a high smoke point. There are two varieties of this oil; one that is high in oleic acid and also has a high smoke point, and the other that has high linoleic acid and is more suitable for using cold. Sunflower oil with oleic acid has a nutritional value similar to that of olive oil.